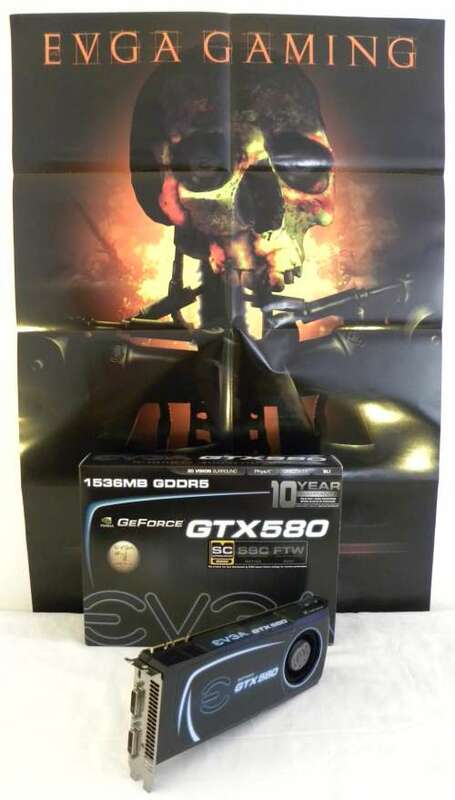 EVGA has three GTX 580 based cards in its catalog: the regular GeForce GTX 580 (with reference clocks), the GTX 580 SC, and the GTX 580 FTW Hydro Copper. 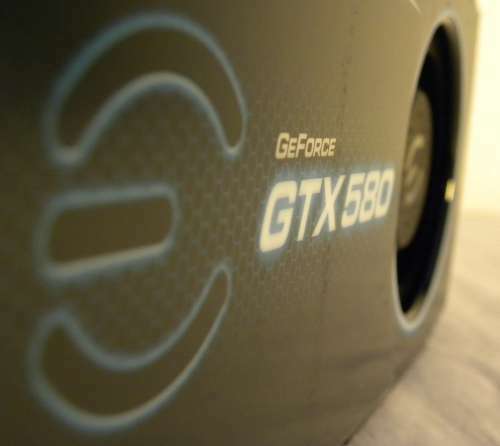 Today we test the GeForce GTX 580 SC (SC for SuperClocked). This card, based on NVIDIA’s second generation of DX11 GPU, the GF110, comes with factory overclocked settings: a GPU clocked at 797MHz (reference: 772MHz) and 1536MB of GDDR5 memory clocked at 1012MHz real speed (reference: 1002MHz) or 4050MHz effective / QDR speed (see here for more details on memory speeds: Graphics Cards Memory Speed Demystified). 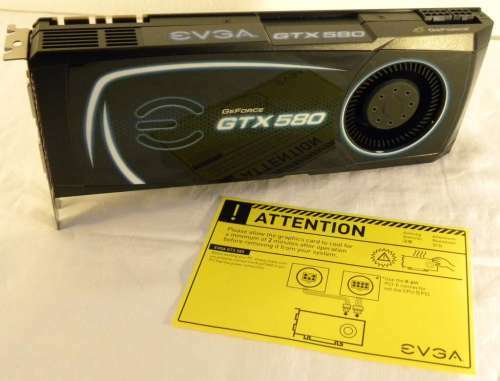 EVGA’s GTX 580 SC is a Direct3D 11 and OpenGL 4.1 capable card. 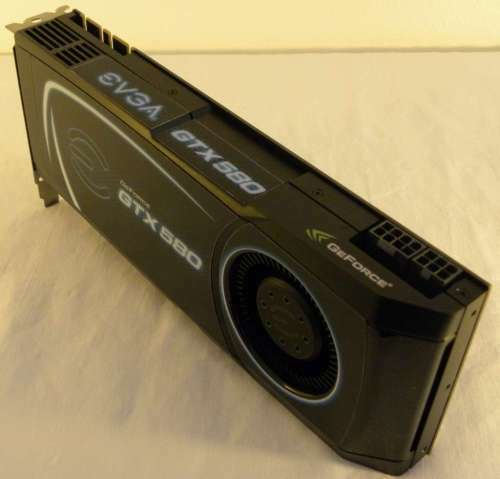 In the GPU computing side, this GTX 580 support CUDA, PhysX and OpenCL 1.1. 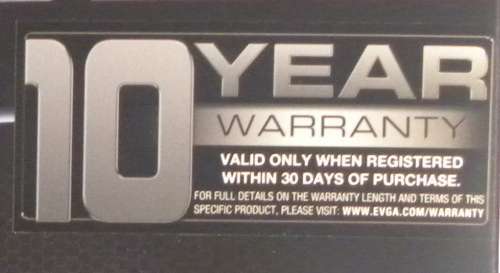 On EVGA’s website, the GTX 580 SC is priced at USD 520$. What’s more, the registration will give you a licence key for 3DMark11 (see here for mode details: Get 3DMark 11 Advanced Edition FREE* Upon Release!). 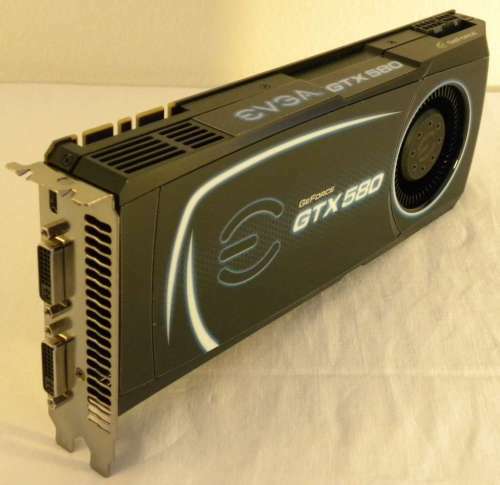 I must say that EVGA GTX 580 SC is a very nice card. The card follows NVIDIA’s reference design but the final stickers give the card a very neat aspect. Furthermore, the packaging is well polished. We feel the bundle has been carefully prepared. 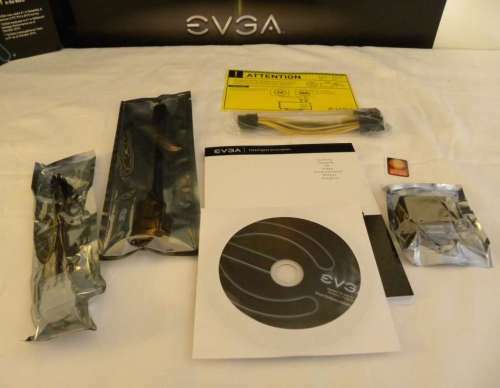 EVGA GeForce GTX 580 SC Gallery – (19 pictures total). 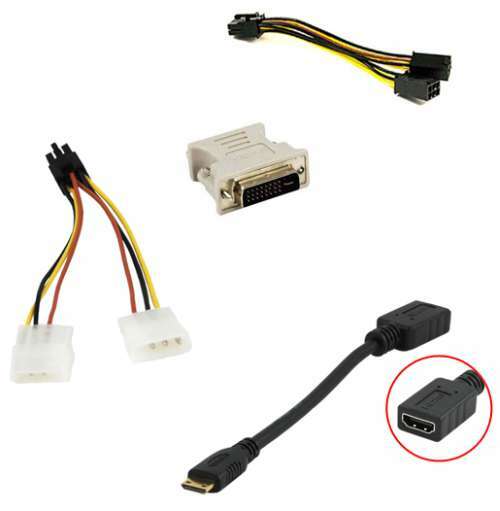 Both tools have been used to overclock the GPU as we’ll see it in the overclocking page.